Thousands of blogs are created everyday but only a few succeed and the rest fails. Have you ever wondered that why most of the bloggers fails at blogging. About 90% of bloggers quit blogging in the first 6 months. Why does this happen? Why do newbie bloggers fail in taking their blog to the next level? Mostly newbies start blogging for making money. They think that blogging is the easiest way of making money, but they're wrong. Starting a blog is easy, with services like Blogger, Wordpress etc. you can start your own blog within 3-4 minutes but getting traffic/visitors to your blog and taking it to success requires lots of hardwork, writing skills and a great deal of time. Another major problem of newbies is that they want to make thousands of dollars within 2-3 months. Newbies get motivated by reading others success stories and they start blogging without knowing the fact that how much time and effort it takes to make a blog successful. 1- Impatience - Blogging takes time and patience. Its not possible to get 1,000,000 traffic in just 2 months. 2- Lack of Motivation - You're not motivated. 3- Lack of Interest - People think that blogging is a kids play but they're wrong. You can start a blog with just a few clicks but getting traffic is the worst part. 4- Passionless - It needs passion to do every work. Newbies do blogging just for money, they're not passionate. And when they are unable to get success they quit Blogging. 5- Wrong Niche - Many newbies fail because they choose a niche which is associated with lots of money, instead of their interests or hobby. They don't have enough knowledge about their niche, which leads them to failure. 6- Running too many Blogs - Mostly, newbies create too many blogs, tech blog, design blog, personal blog bla bla bla. Running too many blogs once is really hard and requires a great deal of time, so they get bored of it and quit blogging. 7- Looking for Quick Money - Newbies think that blogging is the easiest way for making money. They get motivated by reading others success stories. Newbies don't understand that blogging is not a kids play, like all other business, blogging also requires time, experience and hardwork. 9- Blog Promotion - Newbies only focus on publishing posts on daily basis, not on promoting their posts. Without promotion getting traffic is impossible. 10- Lack of Time - Blogging requires a great deal of time, but newbies are unaware, they think that they can write unique and quality content in just 10-20 minutes. As a result --> They write Poor Content >> Zero Traffic >> Okay I Quit. 11 - Lack of Writing Skills - Newbies just write articles and publish them daily but they never pay attention to their writing skills. After a few months they realize it and quit blogging thinking that only writers can do blogging. 12- I'm the King - Thinking that blogging is just about publishing content, newbies only focus on publishing articles. They think that learning is a waste of time so they use the Copy-Paste formula and lost their traffic. 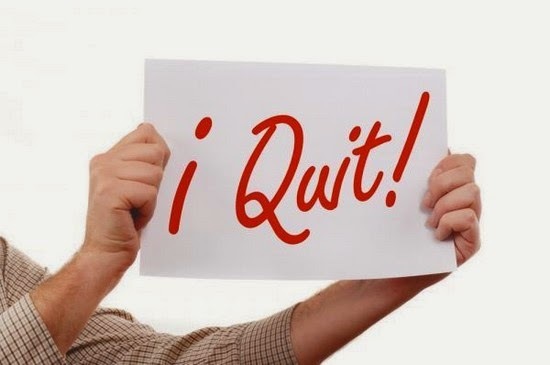 13- Giving Up Too Quickly - The biggest reason why newbies fail is that they give up quickly within a span of 2-4 months. 14- Giving more Attention to Stats - Instead of focusing on their goals newbies pay more attention to their pageviews and worry about it. 15- No Keyword Research - Newbies do a big mistake of writing posts without keyword research. Writing posts without proper keyword research, decreases the chances of your blog appearance in the search results. 16- SEO Problem - SEO is important for getting higher ranking in search results but newbies don't pay attention to it. 18- Terrible Blog Design - Design is another issue, newbies design their blog poorly. Imagine if you land on a poorly designed blog, would you like to surf it? Probably not. So, if your blog is poorly designed then other people will do the same. My advice to new bloggers is that, do hardwork and never give up. If you want to become a professional blogger then you should avoid these mistakes. Blogging is not easy, it requires lots of time, hardwork, passion and skills too. Choose the topic in which you're interested. Before you start your career in blogging, learn its basics. From your first day of blogging write like professionals and improve your writing skills. 17 comments to ''18 Reasons Why Newbie Bloggers Quit Blogging"
These are some really great insights. Most people think blogging is easy, but it's not! Its a craft! This is some really good #bloggingtips and paints a realistic approach to #blogging. I just hit the 6 month mark. You speak the truth my friend! Staying motivated is my main focus right now. I just wrote a post about - Where's the Momentum. I'm considered a lifestyle blogger, I cover different topics on my blog. I'm learning to stay consistent and definitely promote, promote and share some more. I agree, traffic and interaction from readers is not easy to get. Thank your for your valuable feedback. Proud that you are awesome Muslim blogger, highly appreciate your contents. All i should say is, have a look at the "Conclusion" ...The Newbies, bloggers are welcome. internet browser and then enter you email address and download from instagram after that you will have to enter your email address. Thank you for sharing the post and pointing out the important things.